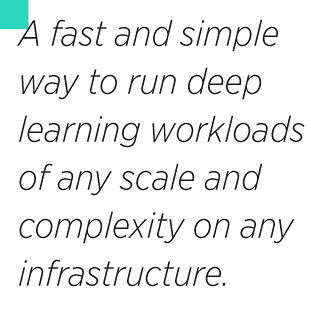 Clusterone makes it simple and fast to run deep learning workloads of any scale and complexity on any infrastructure. Putting data scientists first. It removes the time sink of infrastructure management and setup for data science teams by providing a ready-to-use platform and essential tools. For organizations, it reduces project costs by maximizing the efficiency of their data science teams and hardware resources. Clusterone fully automates infrastructure orchestration and reallocates resources seamlessly to maximize efficiency. Clusterone integrates into any existing technology stack and supports TensorFlow, PyTorch, as well as custom Docker containers. User-friendly web- and command line interfaces, Jupyter notebooks, TensorBoard®, and experiment-sharing are available. Clusterone can run on premesis, or on any public/private cloud, Easily switch between solutions without changing any workflows. Clusterone optimizes resource utilization and enables lower computing costs through its innovative cluster management technology. Clusterone enables running many concurrent experiments. Training large-scale distributed deep learning models becomes effortless. 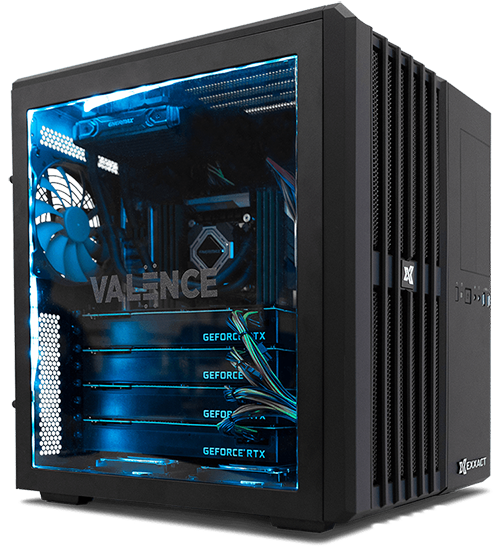 Clusterone helps organizations to get the maximum value from their hardware resources. Clusterone’s Elastic GPU Scheduler detects unused processors and makes them available to others on the team when working with on-premises boxes. When working in the cloud, Clusterone’s dynamic scheduling and auto-scaling can spin up and spin down resources. This means scientists always have the resources their work requires without incurring billing for idle hardware instances. 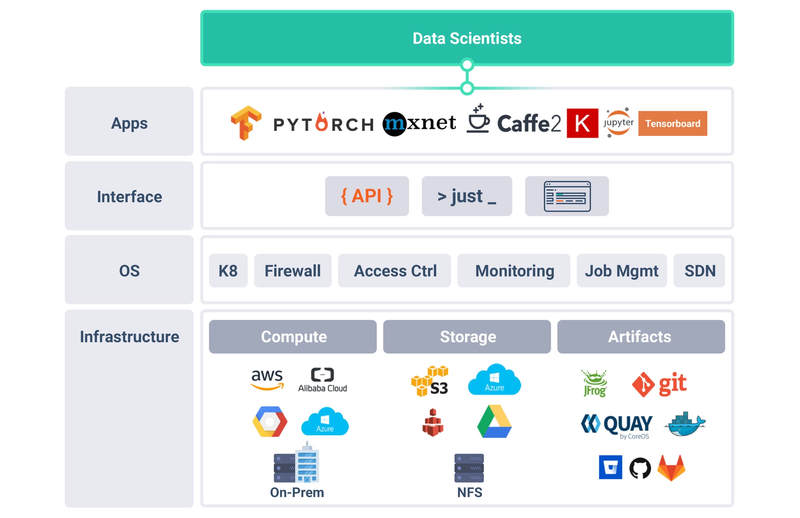 Clusterone provides a major benefit for deep learning scientists with its robust Kubernetes based orchestration. Clusterone’s Deep Learning Resource Orchestration gives scientists the ability to manage multiple processes at once—with programmatic interactions. With the Deep Learning Resource Orchestration, one server might be producing data sets for consumption by a second server that is training a model, while a third server evaluates the results. Clusterone is a product of Clusterone, Inc., based in Seattle, Washington. Funded by investors such as the Allen Institute for Artificial Intelligence and Madrona Ventures, the company was created by machine learning scientists and engineers from Stanford, Google[x], and Intel.